I’ve been on a marmalade bender lately. Well, it’s actually been for the last few weeks. Winter, of course, is marmalade season and the markets in Paris are heaped with citrus: Corsican clementines, pretty yellow bergamots, hefty pink grapefruits from Florida (although some infer appellations from elsewhere – namely, the Louvre), leafy lemons from Nice, and lots and lots of oranges. The stands are so piled up that it’s not uncommon to be walking down the aisle and have an orange roll off of the piles and land on your foot. (Which is why it is a good idea to wash any fruit before you use it.) This means I’ve got so many jars of marmalade, that when my friend Luisa stopped by and saw the jars piled on top of a shelf in my bedroom, she said “I’ve doing the same thing ” at her apartment in Berlin. Sometimes I think jam-making could be classified as an epidemic and if so, there’s ample evidence that I’m ready for an intervention. While kumquats were once classified with their look-alike citrus brethren and sistern (admittedly, it can be hard to tell as it’s difficult to get a look under their navels), they are now placed in another genus category (Fortunella), even though they share many characteristics of citrus fruits. One of those characteristics is that they are winter fruits. And another is that they are très bon pour la santé (good for your health), containing lots of vitamin C. And they also make you feel happier, since not only does their tangy-bitter flavor brighten up even the darkest of winter day, nothing makes me happier than to wake up in the morning and gaze at my shelf of marmalade first thing in the morning. I was especially happy when I was doing my shopping at the outdoor market and came across a big bin of kumquats. 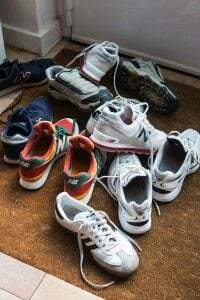 I scooped up a nice-sized bag of them and brought them home, where they patiently waited in the refrigerator until I decided what to do with them. Originally I’d considered giving them a quick-candying and strewing them over poached prunes with a scoop of ice cream. But I ended up sticking my fingers into the bowl of prunes a few too many times during the week and ended up with a small puddle of cinnamon-spiced dark syrup pooled in the bottom of a container in my refrigerator, which I didn’t think would go with anything. So I decided to get out my little serrated knife, slice up my Fortunella fruits, and make marmalade. I added a couple of lemons not just to bulk it up, but because I thought with the added sugar, the marmalade would benefit from some extra acidity. I normally spoon my marmalades on morning toast, but after I made this batch, I had cleaned up the kitchen and was going to reward myself to a nice bowl of split pea soup for lunch with some Comté cheese and – like most good ideas (and a few of the bad ones) – it suddenly occurred to me that the tart marmalade might be nice with the nutty cheese I was cutting into batons. And sure enough, it was. Fortunately I have three nice jars of marmalade to add to my collection. So far this year I’ve made Seville orange marmalade (eight jars) and four jars of mixed marmalade, using the bergamots and citron that were plucked off a tree in Sicily. After all that slicing, seeding, and simmering, the last pot of marmalade has been jarred and stored; they’ll last me through the winter. And if I am prudent, a number of spring and summer mornings as well. 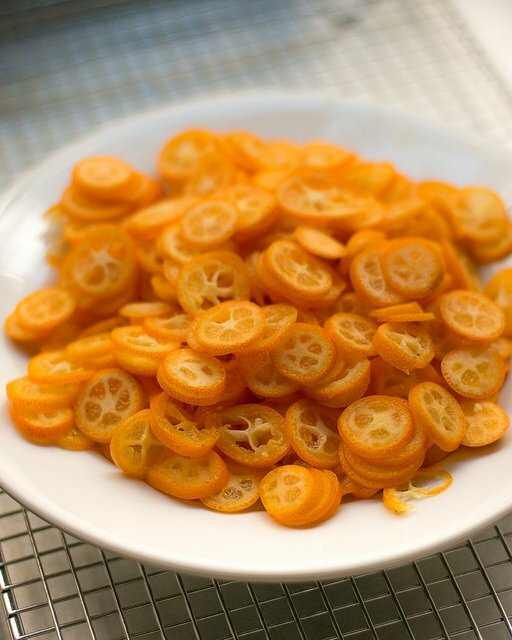 Many of the little rings of kumquats will, unfortunately, come apart as you cook the marmalade. 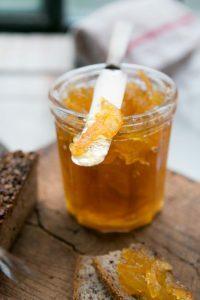 The reward, however, is gorgeous jars of tangy marmalade that you’ll be happy to spread on your morning toast or serve with a bit of cheese after dinner. 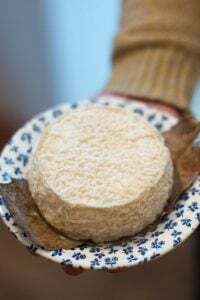 I served mine with Comté, but a nice goat cheese or another nutty mountain cheese, like Gruyère, would pair nicely with it.It takes a bit of patience to slice and pluck out all the seeds from the kumquats, but you can get 2 to 3 jars of marmalade for your efforts. I use a small serrated knife to slice off the stem end, then start slicing the kumquats crosswise, until I get close to the center. Finally, I stick the tip of the knife into the area where the seeds are and slip them into a small bowl. Because the seeds are rather large, any that you miss you can usually find just by doing a little scanning of your pile of sliced kumquats.I use oval Nagami kumquats, which are more puckery than the round Meiwi kumquats, which you sometimes come across. Do try to get organic or unsprayed fruit from your local market or natural food store. The kirsch is optional, but it does nicely round out the flavor of the marmalade. 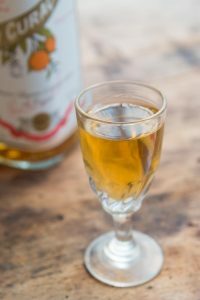 You can substitute another liquor, such as gin, Grand Marnier or Cointreau, light rum, or a dash of brandy. Or it can be omitted, if you wish. I’ve never tasted any kumquat marmalade, this must be perfect on a toast with butter. Thanks for the recipe. i made some last year, just to try, from kumquats from a friend’s tree in Los Angeles. these kumquats were delicious right off the tree–the sweet skin with somewhat tart interior of these ripe fruits was amazing. the marmalade came out amazing WITHOUT any added sweetener–but i didn’t add a bunch of lemon to it–just a squeeze. it IS great with nutty cheeses–cave-aged gruyere was what i had tried..
i should read my writing before posting..
Do the kumquats get blanched with the lemons too? Or when do they get added? Thank you for providing your recipe! 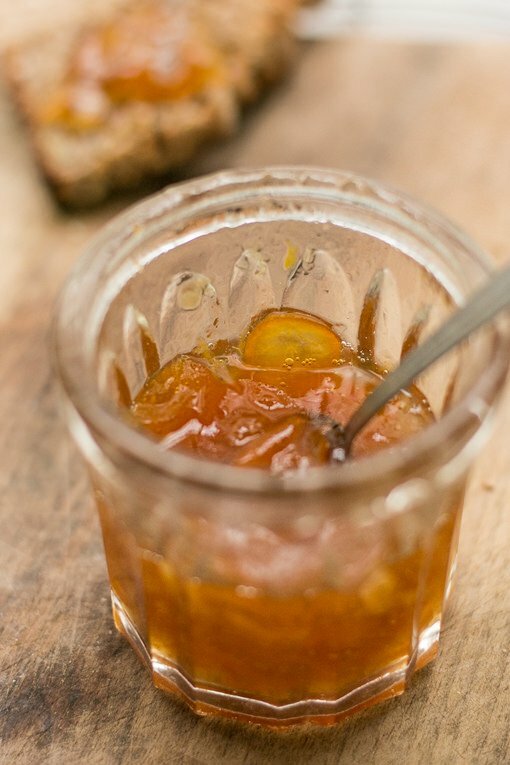 When I visited Corsica the owner of our cottage gave us a jar of kumquat marmalade she’d made with the fruit from her garden, it was sublime and I’d love to recreate it at home if only kumquats didn’t cost so much! The combination of marmalade and cheese is recommended in the Food Thesaurus; my husband gives me such grief for slathering marmalade on mature cheddar but it is so delicious! I love being able to be included (through your blog) in your ‘jam sessions’. DAVID! I’ve just gone cold-turkey on jam-making, owing to the need to use up or give away 70+ jars of jam made over the past two years, including 8 variations on the theme of sour cherry. Marmalade is my absolute favorite–the Meyer lemon and kumquat from the Blue Chair book was a revelation and I gave it all away! I keep telling myself that I’m going to make preserves and then never do. 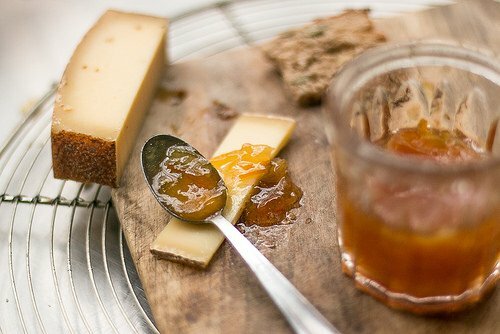 And marmalades do go quite well with nutty cheeses. I drooled a little when I saw your picture with the Comte slathered with some. Must be even tastier when it’s home made. Does anyone know if you can find bergamots in the States? I’ve always been curious about them, but have never seen one. How timely. I’ve sent this on to a neighbor who was trying to figure out what to do with a gift of kumquats. She may have the sweet ones, though; if so, what amount of sugar should she use? These sweet ones throw me off. I grew up with the bitter ones. As for the marmalade, I think the kumquats on my neighbor’s tree are ripe and just maybe this is the year I finally try making some marmalade! Thanks for the nudge. The hardest part of making marmalade is slicing the fruit, but it’s well worth it in the end! I see kumquats at the store, but I’ve never picked them up. I really should! When I was writing my thesis, I ran out of bread, so I spooned rhubarb jam directly onto aged cheddar cheese as a snack, all while panicking over whether or not I could pull off the whole PhD thesis thing. I was highly embarrassed about the whole jam on cheese thing, but now that you’ve showed it on your blog, I’m feeling like it wasn’t such a ridiculous idea after all! Can you explain the reasoning behind boiling the seeds with the rest of the citrus? I love kumquat marmalade and have never done that before. Perhaps I missed that part? Hi David, Avid reader of your blog here. 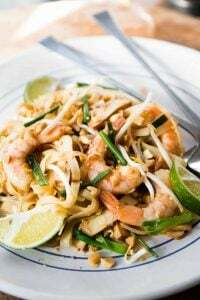 I have made a lot of your recipes and love every one of them! Also a marmalade fanatic! Made 4 batches of meyer lemon marmalade so far this year. 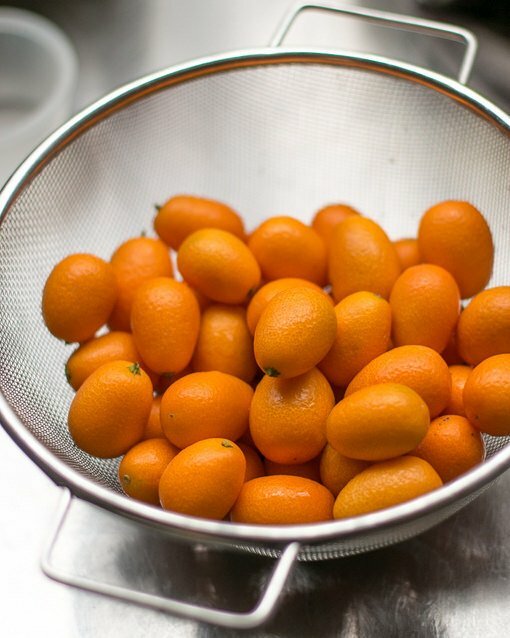 One question on the kumquat marmalade…when do you add the kumquats? Step 1 or Step 2? Thanks so much for your recipes and your humor! gigi+ Brenda: They get added in step 2. Kim: It’s to extract the pectin from the seeds, which you can see when you squeeze out the seeds in step 4. It’s the fun part of marmalade-making! Lynne: There is no precise amount of pectin you get because it’s impossible to gauge. You just use the seeds you have from the kumquats and lemons. Meredith: It’s easy to go overboard with the jam-making. I often bring a jar of jam as a host/hostess gift when I am invited to someone’s apartment for dinner. 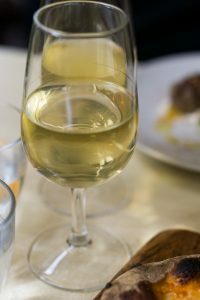 It’s better than wine, because often people have already picked out the wine for dinner and they feel compelled if you bring something to serve it. 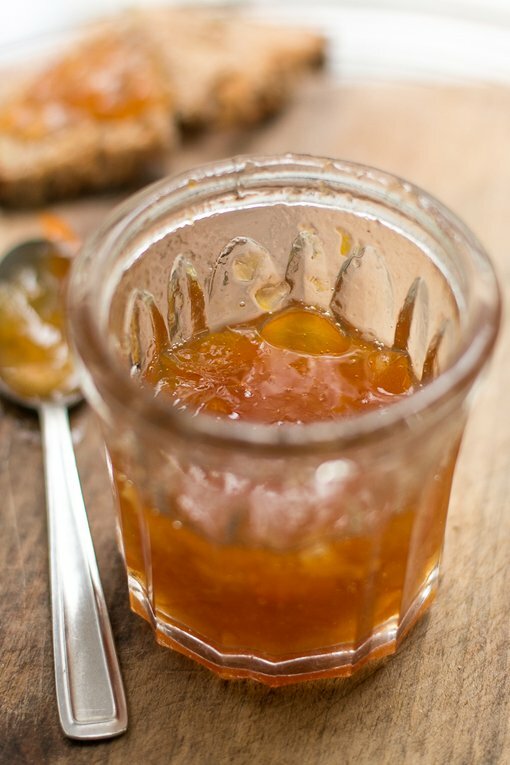 Jam or marmalade is great – and (in my experience) always appreciated! Gene: We used to get Bergamots in California and I’ve seen them in Texas, too. They’re not grown commercially, as far as I know, but you might be able to find some online or contact your local cooperative extension and they may know someone. Thanks for the quick reply, David. Off to the jam pot! Oh Wow! Thanks to the blogosphere I’m slowly warming to the idea of making marmalade and I do love it. But I try to be careful with my sugar intake…I’ve been really enjoying an organic Italian line of jam that is made exclusively with apple juice. I feel no compunction giving it to my 2 1/2 year old. David, Maybe it is because I am old and making Marmalade/Jams first time at such an ancient age but I read your recipe several several times and no where did you say “add the Kumquats” I surely must be wrong, but please let it be you…at 87 years I don’t need signs of the dreaded “A”. 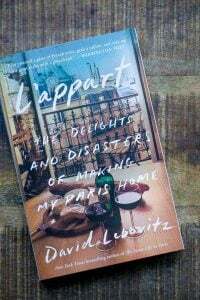 I really enjoy,try your recipes , and love your wicked sense of humor. I was happy to see another recipe for Kumquat Marmalade. Picked some kumquats from our tree in Arizona and brought them back to Chicago to make marmalade for our french restaurant in the suburbs. We used it as a glaze for pork tenderloin. The customers loved it so much it is still on our specials menu. As long as I can get kumquats, I think we will keep it on the menu. Last year our crazy Kumquat Tree in Arizona had fruit all year! Hi David – oh my favorite marm. I really appreciate that you keep it simple/direct… never thought I’d envy the idea of making just 6 jars of preserves…..10 years ago I started a business with my excitement about preserves and now only dream of making just a few instead of hundreds…kind of a brag/complain I know….but nonetheless. Always enjoy a few minutes with you via the screen. I love marmalade but live at 6000 ft. in the Rockies. I have boiled it for 75 minutes and can’t get it to 220 degrees. The finished product tastes amazing but doesn’t set. Is there any method to get it to set at high altitude? I have no experience with high-altitude cooking so can’t really advise. You may need to cook it more, but keep an eye on it doesn’t it doesn’t burn nor does the sugar caramelize. 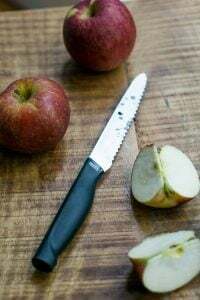 If you have some apple juice, sometimes adding a splash of that for extra pectin helps, but if I use that, I generally add some at the beginning. I adore marmalade, and a dollop of this with cheese sounds fantastic. I love making jam in the summer, but my one attempt at marmalade (an orange carrot marmalade) was a dismal failure, very bitter and not nearly candied enough. Have you ever made just lemon marmalade? 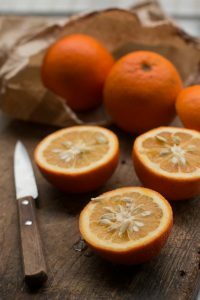 Usually oranges don’t need to be blanched (put in boiling water, and drained) before making marmalade, but depending on the variety, perhaps the ones you had used had especially bitter pith. You can blanche is sometimes a couple of times before making the marmalade, which removes more of the bitterness; I do that with fruits like grapefruit. I’ve made bergamot marmalade which are similar to lemons (in France, bergamots are not actual bergamots, but sweet lemons) and it works well. If you have access to Meyer lemons, those make lovely marmalade. Thank you so much for the great recipe, David. I love kumquats, usually add them to winter salad with avocados, cabbage now that I live in Paris, roquefort cheese. Marmalade will be a wonderful hostess gift. Can’t wait to try it. I usually do not like the bitter after taste of marmalade that comes from the orange pith, would kumquat marmalade be less bitter than traditional orange marmalade because their skins are so thin? Great timing. I just picked about 5 lb of kumquats and was planning to make marmalade – about the second time in the past 6 months. These kumquats are homegrown in the Bay Area. Turned out great the first time but I wouldn’t mind a different recipe. My first question is about the seed in the cheesecloth. What’s the benefit of boiling it with the fruit? Second question: shouldn’t kumquat or any citrus marmalade be a tad on the bitter side, like “burnt orange”? Or is it just a personal choice? I’ll take advise any time. Thanks. Ditto on what gigi said. I’m guessing Step 2 but…David? There is a marmalade I find in town sometimes which comes from Hawaii made with oranges and apricots. So good. I bet kumquats and apricots would also be good. I also use kumquats in a dipping sauce for Chinese ribs I make. Outstanding taste. I sent a comment but must have clicked something wrong. I am getting every Marmalade comment made in my email..please cancel those comments. I also got resubscribed for David’s blog..so I really clicked something wrong. Guess I had better leave the comments to the more experienced..my comment never got there anyway. You are so right making jam is an epidemic or perhaps a calling!! Can’t wait to try this recipe! I have these lovlies in my garden. Gotta make something too! Great recipe, David. Thank you for sharing. I just made ruby grapefruit and pomegranate marmalade. Now I want to make this! 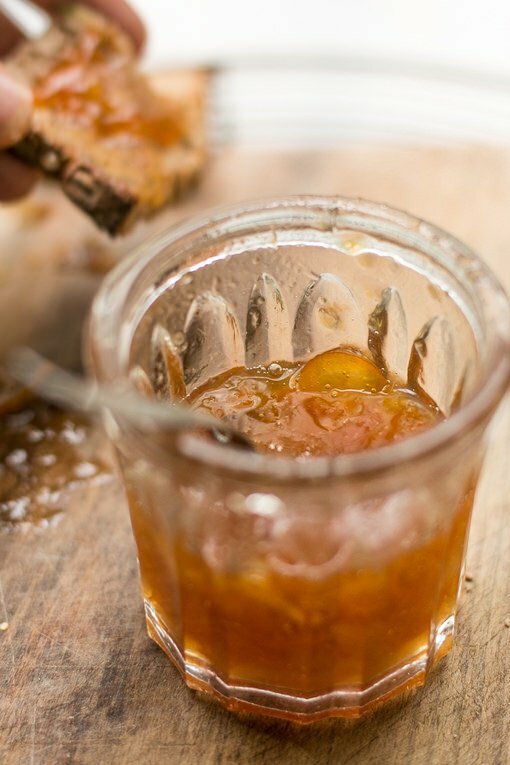 Cumquat – as we spell it here in Australia – Jam is a favourite of our household. Had a tree many years and houses ago and even my then 6 year old liked it. Late last year I was given a huge bag of cumquats and decided to turn some into a glaced fruit and the rest into jam. I just cut them in half and squeezed out the seeds… I quite like lumpy bits in the jam and I am lazy! We eat it on toast and frequently with cheese. My batch was gone in no time, but have found a supply! An old man who lives near my sister often has a little stand near his letterbox. Great jam so we stock up. Delicious. Thanks for the post – it reminded me of a small delight in our lives! Thanks for the link to my Kumquat marmalade with star anise David :-). I love your site and have learned so much from you. In fact I made a variation of your grape sherbet this week and Im dying to post about it. Such a winning recipe. 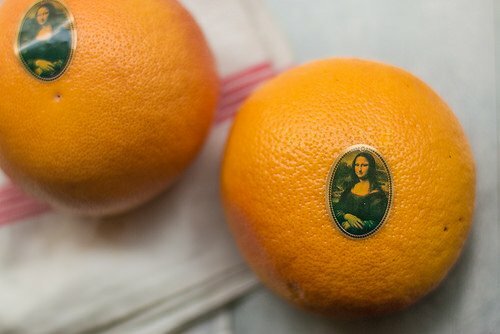 I love love love the Mona Lisa stickers on these!! Just had to say! I have never tried a kumquat before, definitely going to look for one on my next trip to the market! I made a few batches of marmalade from my neighbor’s kumquats and my calamondins. For the calamondin batch I added some frozen passion fruit puree. The kumquats got a vanilla bean. I highly recommend each of those variations. Hi, kumquats make a beautiful marmalade and they give a lot of flavour even in small amounts. Last summer I found a nice recipe where there’s 4 parts peeled and deseeded zucchini, 2 parts apricots and only 1 part kumquats and even then the kumquat taste was extremely strong. Lovely marmalade! @Eileen – the higher the altitude, the lower the boil temperature. I make jams at 9000ft and they boil at 202F. Some take ages to set up and so we have ‘sauce’. Just keep stirring and testing until they finally start to get very thick on a chilled spoon or plate. I’d not eaten marmalade more than a few times and I’d never even touched a kumquat, but my love for all manner of cooked fruit enticed me to try this recipe. I’m so glad I did!! Aside from the slicing (I’m much slower than you), it was quite easy and so delicious!! I’m a new reader of your blog- so glad I stumbled across it. Thanks! As I sit inside on a snow day (school cancelled thanks to a Nor’Easter), your marmalade looks like a tantalizing bit of sunshine! I hope I can find kumquats in our local store. Thanks for sharing this! Hey david.am jealous.you have too much of a good thing standing on shelves. David, could you kindly explain the benefit for having the fruit, seeds, and water stand for 24 hours? Merci! To extract the pectin from the seeds, which will help thicken the marmalade. My monster of a kumquat tree here in So. Cal is just ripening. 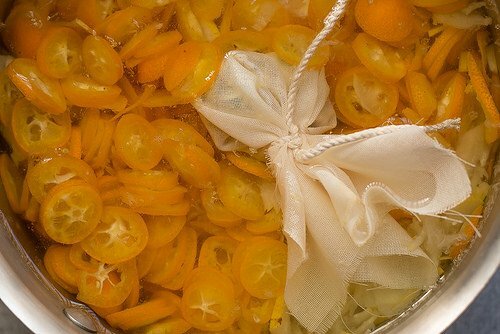 Last year I made dozens of jars of kumquat marmalade – the process is about to start again. Managed to give away and eat every one. My favorite iteration was the batch with fresh vanilla beans – just split them and simmered then in with the marmalade, then included a chunk of bean in each jar before I sealed it. Heavenly! This is very timely coming two weeks after Chinese New Year – the usual decoration in Hong Kong is kumquat trees, hence we have four massive ones in my office and I have been given all the fruit! Everyone who asks me to dinner for the next year will get a jar! I usually adapt Delia Smith’s Seville orange marmalade recipe (using a lot less sugar), but it’s great to see an actual kumquat marmalade recipe. Thank you very much, David. My first time making marmalade and I’m excited.. Just wondering, when you said to let it sit for 24 hours, is that at room temperature or in the fridge? Thanks! 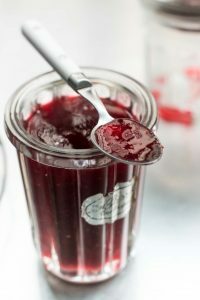 You can leave it out at room temperature ~ happy jam-making! Here’s the odd question for you. I’m finishing up a poem that includes a line about marmalade. 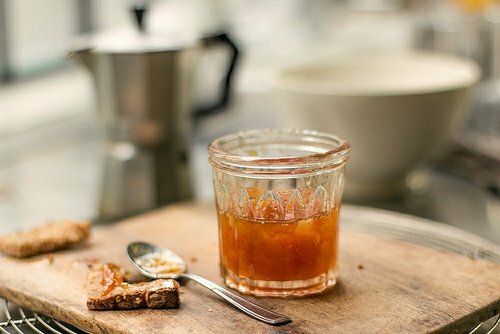 I googled preferred marmalades, learned about bergamot and Seville, then googled those and came across your excellent Bergamot and Seville marmalade posts (closed for comments, at least on my computer). The question is, if a well-educated man with a sophisticated palate in the UK or Europe were to be spreading his favorite marmalade on toast, would he more likely be using bergamot or Seville? I live in the U.S. and haven’t tried, nor searched for, either. I was scared it would grow mold in a matter of 24 hours (i don’t know why) so I kept it in the fridge, with no problem. Of course naturally, I ended up overcooking the jam so I have more of a jelly-like kumquat gummy rather than jam. And I’m trying to be optimistic about this…..trying to. I never had Kumquat marmalade in spite of having two small trees in our garden in Argentina. In Canada, kumquats are not easy to find and are expensive but worthwhile getting them for this recipe, which is fantastic. The taste is so much nicer than if using Seville oranges. Thanks for sharing, I love your blog! I have made 4 batches of this marmalade since seeing it on your website David and it is fantastic! Thanks so much!